Précédent : Article précédent : Juin 1815-Juin 2015 ! Suivant : Article Suivant: The Waterloo 200 Descendants Book Project! Here we are! This is the month where 200th ago, men fought around Ligny, Quatre-Bras, Braine-L’-Alleud and of course Waterloo ! I will try throughout the time up to the commemoration to bring infos, enlight known and lesser known facts, talk about the new memorial and events to come ! 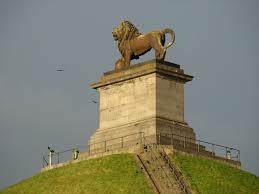 To all those visiting Waterloo this month I wish a hearty welcome ! Learn, discover, feel the ground and try to figure what those days must have represented for the soldiers but never ever forget that history keeps on going even after milestones events!